If you’re into animation, or trying to get into animation, you’ve likely scoured the web looking for the best way to do it. In your search, you’ve likely come across Bloop Animation. The glorious freedom of the internet is also the crux of its eeeeviiiiiiillll…. There’s more bad information out there than good information! How do you know what’s good and what isn’t? It seems like everyone has something to sell these days, and you should buy our book be extra selective about what you get yourself into. We’re going to try and help! We put together a little review on Bloop Animation. It took a couple of hours and couple of email lists, but we spent some time with the Bloop Animation content to try and get a better feel for what’s really going on over there at Bloop. Here’s the Bloop Scoop, as we understand it: Morr Meroz is the creator of Bloop Animation. His rise to internet relevance began with a YouTube channel. It gained in popularity until he decided to make his Bloop Animation Blog. 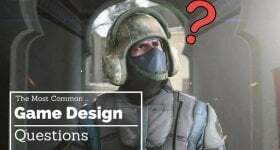 The blog continued to grow and now he offers pay-to-use courses to help up-and-coming animators with their budding careers. It’s a tale as old as time. Let’s start with his free stuff, because you’re always supposed to start with the free stuff (you don’t walk into Costco, buy a 20 lb box of spinach-stuffed pierogies, and THEN try a sample of the product from the nice, hair-netted attendant…). 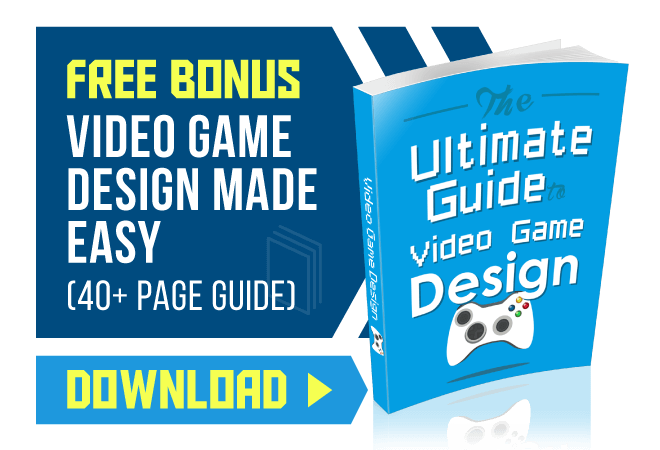 The flagship of the Bloop Animation free material is his 34-page ebook, which you can download for free after supplying a valid email address. Make sure the email address is valid, because the downloadable link is sent to you via email. Even though the book is only 34 pages long, it’s actually stuffed with some decent information to help get you started on making an animated film. Meroz stresses over and over that the best thing you can do as an animator is create. We happen to agree with that…one point for Bloop. The first section of the Free ebook (freebook, from now on) is packed with motivation for continuing to create, and why you should “make a second film.” By that, he means continuing to create after you graduate college. If you aren’t in college yet, go ahead and make a first film. If you’re in college for animation now, or you will be, or you recently graduated, the “capstone” project for your animation degree is going to be some kind of animated short. Bloop Animation is encouraging to make another short film. Don’t stop animating just because you’ve graduated, or because you no longer have professors and grades requiring you to create. Whether it’s your first film, or your second film, this Bloop freebook has the tips for you. 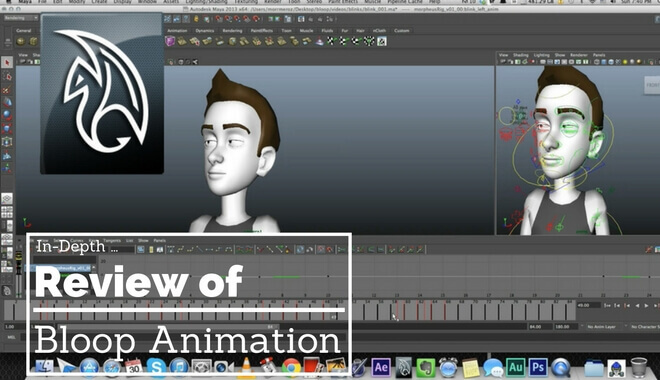 The second section of the freebook goes into detail on how to go about animating a short film. It’s a pretty solid step-by-step walkthrough. He starts right at the beginning: coming up with an idea. He goes on to talk about everything from texturing, lighting, to sound design and scoring your film. If it’s your first foray into animation, or you need a refresher, the Bloop guide is a great little resource. Bloop Animation contains a number of articles on the site which, as the subheading suggests, you can browse for free. Some topics include: the best animation software, the best animation schools, or how to start animating now for less than $100. Bloop Animation also provides some walkthroughs and tips regarding how they went about making their own animated films. There are links to books that he highly recommends (and only one of them is his own! but it isn’t his freebook). He also includes tips for building your portfolio and staying motivated, with several articles in each of those categories. While the free Bloop Animation content is a good place to start, it might not be enough to get you all through your first few projects. We’re humans, and humans love shortcuts (like ten minute abs!). That’s where the pay-to-use material comes into play. Bloop Animation/Meroz has an expanded book you can buy. It’s called Animation for Beginners. There are claims that it was a #1 bestseller on Amazon, but a quick Amazon search will tell you that it isn’t (wasn’t?) listed on there anymore (ever?). For just the book, the cost is $29. Bloop dangles another carrot by letting you download a free sample chapter. Then there’s the “Ultimate” package, which costs $299. That gives you access to every single course currently in the Bloop Animation library, of which there are six. This package includes a copy of the eBook, too. With every course valued at $99, the “value” of the Ultimate package is over $300. Unfortunately, the editors rolled back our otherwise lavish budget for the holidays. So we didn’t get to go all-in on the ultimate package. Lucky for you, Bloop Animation offers a 30-day money back guarantee on both the Master and Ultimate packages. So if you’re feeling lucky you can give the Bloop Animation courses a shot. If it works, keep it! Buy more! If it doesn’t, return it! Don’t miss the 30-day window! It seems like Bloop Animation is passionate not only about animating, but about helping others animate as well. There’s plenty of free material for you to absorb and digest on the Bloop Animation Blog. There’s also the YouTube channel, which we didn’t even get to in this article. The free stuff seems good, but we leave the decision to support the Bloop Animation venture with cold hard cash in your hands.